Oil on 9x12" panel. 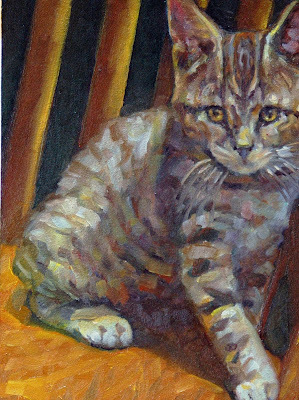 I painted this alla prima yesterday to honor Chief's Friday the 13th birthday seventeen months ago, he was born on Friday the 13th. I enjoy painting my friend with the amazing stripes.